Having a detailed understanding of the current situation provides a benchmark that will enable your organisation to accurately measure your progress in transitioning to BIM, highlighting the successes or potential failures of your BIM implementation. This will indicate the areas where future improvements can be made to reduce costs and improve productivity to surpass the existing situation. The Organisation’s BIM Standard should define clearly the “what” and “how” to create a BIM model at a particular stage of a project to meet a particular objective. One can make reference to the Essential BIM Guides available in the Model menu when developing its BIM Standard by discipline. Will there be a need for drafting (only) personnel in the future? Can current staff members be up-skilled to new roles, i.e. drafters to technical modellers? Which members of staff will require training? What level of training would be required? This is discussed further in BIM TRAINING. How would the current internal teams/personnel need to be changed/reorganised to incorporate the skills required to implement BIM? What is a typical project for your organisation, including type, duration and cost? Typically, what information is required and when, during a project? For a typical project, what processes are involved in documentation and how long do they take? What are the current costs associated with training and education for current office procedures and protocols? What are the current bottlenecks or difficulties with your current processes? How is information communicated to team members on a project, both internally and externally? How is document management controlled at present? How is data management and data storage controlled at present? What office documentation standards are used and how effective are they? Are CAD libraries/templates currently used and to what extent? Technology relates to implementation of the software packages to support the milestones and ambition. Not only the software, but also complying with the hardware requirements. It also needs to be defined which features will be used, and for what purpose. In case multiple software applications from different vendors are used, interoperability issues need to be identified and addressed. 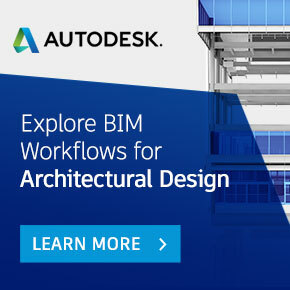 BIM is technology-driven and it greatly impacts workflows and processes. The technology allows us to handle information more efficiently and create parametric relationships between object. Authorization and review procedures need to be submitted. Individual roles need redefinition based on model contributions other than traditional deliverables. Training your people is key when implementing BIM. Identify when, how, who and what training or instruction is needed to reach the next milestone. People need to receive software training, but also need to be instructed regarding their role within the process. Communication plays an important role. People on a project must not evaluated by the software tool although the design tools used will be in question. For example, if a firm has Revit17 or less, an assessment tool can assess how well the firm is using BIM tools for design but the question needs to be weighted according to the software versions used by the company or individual. What is the capability/technical specifications of existing hardware (workstations and network) and software? What are the costs of training and education for current software? What are the current software licensing costs? What costs are involved in keeping software and hardware up to date? How are CAD libraries/templates currently stored/accessed? The following NavBIM web portal will help you understand these highlighted points mentioned above and address the workflows required for you and your organization to address for each and every BIM project.